The forecast of icy rain and gale force winds didn’t deter 19 hardy skippers racing for the 2018 Christmas IOM Race. 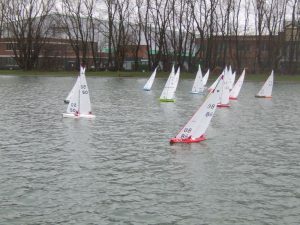 The punchy south easterly breeze enabled Bernie and Jack to set a windward leeward course which used the full length of the lake. Remarkably there were very few retirements, a testament to boat design and maintenance. At the briefing Graham Elliott reminded skippers to race fairly and given the conditions try to keep incidents to a minimum. The leeward gate helped keep racing running smoothly, with the near buoy safer but less advantaged and the far buoy advantaged if you could complete the risky tack on the bank in the big waves! Before lunch racing was fast and furious, with many people posting good and average results. After a warming up with a brew and a mince pie, Bernie promised just 5 more races. With the rain and the wind building and the light dropping this was welcomed news. After 12 races Paul pipped Derek in 1st place with John Brierley sailing very consistently to claim 3rd. 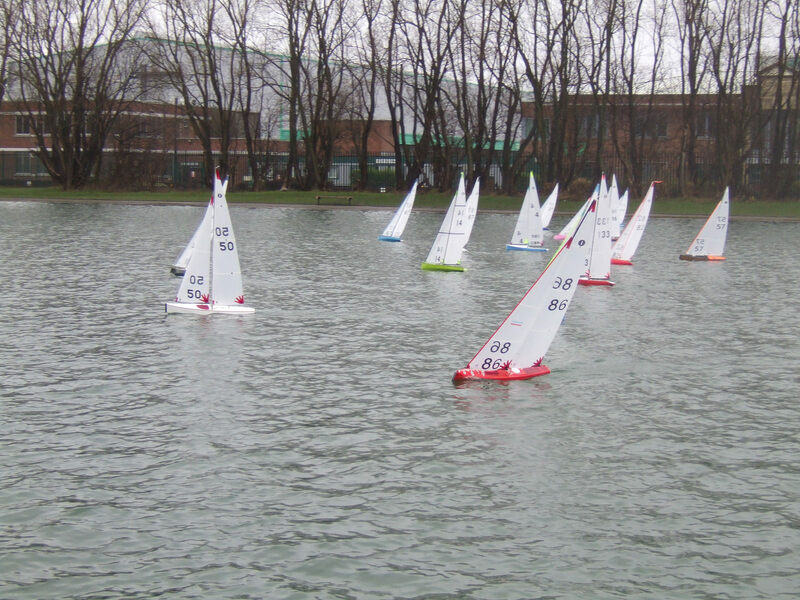 The next IOM Winter Series race is on Saturday 22nd December, 1pm start. Fingers crossed the suns out! Thank to Peter Baldwin for risking his camera to take a pic! A sunny and chilly day greeted 11 skippers, including visitors from Manor Park and an overseas guest! The south easterly top suit breeze enabled Bernie to set a windward leeward course stretching the full length of the lake. 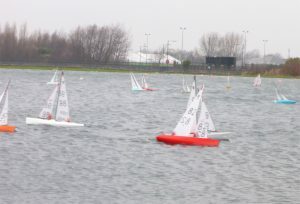 After 11 races Brad finished 1st sailing a 1995 red wine design. Darin was clear second and Paul and Bill separated by just one point for 3rd and 4th. The next IOM event is the Xmas IOM Race on 15th December, don’t forget your gift-wrapped secret Santa present! 10th Bill Bumpus 77pts (overseas guest) Manxman. Time to dust off those No.2 rigs as we have a feast of IOM racing ahead of us at Birkenhead this winter. First up is the Strebor Trophy Open Event on 3rd November. Briefing at 09.45, first race at 10.00 and no race to start after 16.00. Tea and coffee will be available all day but competitors/guests should bring their own food. Entry fee is £3.